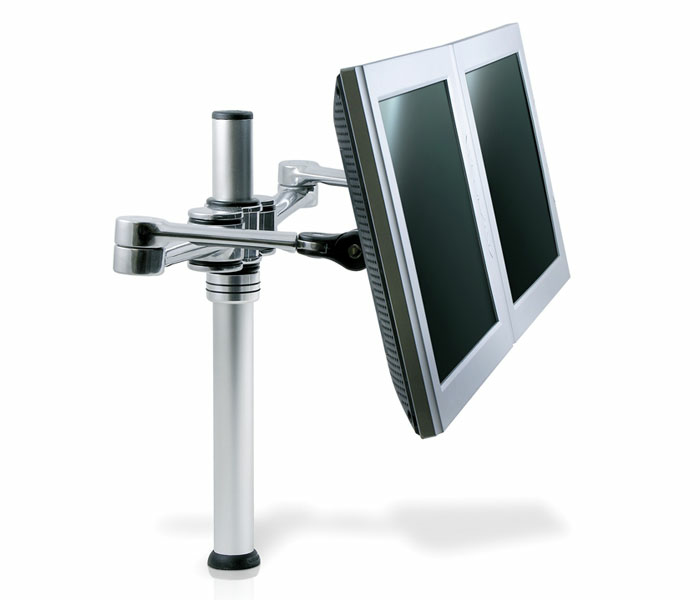 For users who require a dual monitor configuration, the Visidec Focus VF-AT-D polished aluminium mount can revolutionize any workspace. This desk mount supports two LCD flat screens and frees up valuable desk space for enhanced productivity. Holding the two displays side by side or back to back, viewing comfort and productivity is dramatically increased through easy repositioning of the screens by adjusting your screens in and out for the ideal focal length. Ergonomic by design, tilt, pan, rotation, display height and focal distance are adjustable by the user with fingertip control. Cables are cleverly managed for a clean look and to reduce clutter.